"What good is a soldier who doesn't want a medal?" A straightforward post today: the games I play are just too long. I'm currently playing The Witcher, which is a pretty great game-- a solid PC RPG with a unique tone-- but I've probably put 15 or 20 hours into it, and I find myself wishing it were over. Not because I'm not enjoying it, but because I feel like I "get it"-- I've seen what the game has to offer, I've played through the available breadth of interactions, and now I'm simply repeating the established inputs in slightly different contexts. Maybe I'm casting a more powerful spell at a new enemy, but it's only a surface difference from the same dynamic found in the first hour of the game; maybe I'm navigating a new dialogue tree with a new character, but only the words are different while the interaction is the same. The prologue and first chapter of The Witcher were so fresh, fun, engaging, and perfectly cohesive as a unit, that I wish the first six hours had been the entire game, and left it at that. At the rate I'm going, I don't know if I'll see the ending at all. I have a novelty-seeking personality, and always want to consume as many different films as I can, play through as many different games as possible, listen to a new album, fully digest it, then move on to the next. I'm not an MMO devotee, and I don't usually replay games I've already completed. But even finishing single-player games in the first place isn't all that common, and I know I'm not alone. From what I've been told, according to market research, fewer than half the players of any given commercial game make it past the 50% point of the campaign, and the dropoff increases rapidly the further you go. So, fewer than 50% of players make it past the second island of GTA3, or past the Berserker in Gears of War, or past the castle in Resident Evil 4. And forget about actually seeing the end credits. So I ask you: if only half your players even make it halfway through your games, why aren't we making games that are half as long? I think Portal demonstrates how much greater a game can be for matching its length to its content. Portal hit that perfect mark at which the player had learned all the available inputs and play techniques, been given just enough to master them all, and experienced a complete narrative arc by the moment the end credits roll. Portal was 4 hours long because it only needed to be 4 hours long, no more, and probably no less. 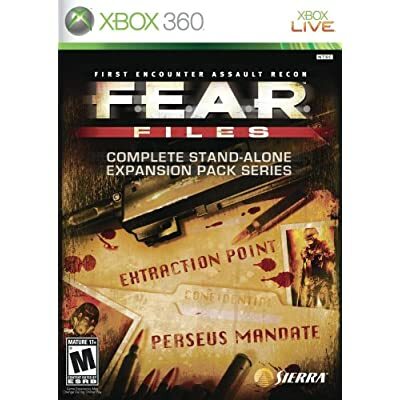 In the same way, how long does it take the player to fully absorb all the mechanics and artifice of, say, F.E.A.R.? After a few hours, you've got a handle on all the movement controls, the battle tactics, the slow-mo effects; you've become familiar with Alma, the replica soldiers, and the general tone and rhythm of the game. At what point do you transition from exploring a new set of experiences, to rotely going through the motions just to reach the ending? I believe that in most games the transition point comes well before the conclusion of the included content, and it's at this moment most people put down a game for good, forgoing half the game they paid for; I believe the research bears this out. I want all games to be as tight and compact as Portal-- greater length should be reserved for games of greater depth. I want to absorb the atmosphere and full range of interaction a game has to offer, then reach a resolution before it all becomes stale. I don't like that my arc of interest in Rogue Galaxy, Rainbow 6 Vegas, Halo 3 and Persona 3 ended long before I completed their campaigns. I want to finish these things without having to trudge-- I want the six-hour game that I can enjoy and complete and make a clean break from instead of just giving up. A six-hour game is reasonable; I can burn through a six-hour game in a night if I'm really dedicated, or play an hour a night and actually finish it in a week instead of a month. I want an hour or two to get acquainted with the world, a couple more hours to master the techniques embedded in the game dynamics, and then a final hour or two to really revel in the depth of the systems and finally resolve all the narrative elements. I want this to be true of all the games I play: action, adventure, and RPG. Stop making me force myself to finish your games. I want to see a structure like this: develop your core gameplay, refine all the systems, then create a full, cohesive, well-paced 6-hour campaign that expresses it all in a compact fashion, a campaign that can stand on its own, that follows a complete narrative arc and provides me a satisfying resolution. Put an entire game into the first island of GTA3, or the prologue and first chapter of The Witcher, or the first act of Half-Life 2, and release it at retail as the "base game." Let me take away that single experience if that's all I want. Then, release the remainder of the campaign in chunks-- "Extensions" if you will-- that add further hours of content onto the base experience. If I'm satisfied with just the base game, I've given you my money and don't feel cheated out of an ending; then, if I just can't live without more content, I'm free to extend the game by buying more chunks of content from you and adding it onto the end of the base campaign. Do I want the game to be six hours, or 16, or 26? That all depends on my level of engagement with the world you've created. But regardless of what it is, I don't want to feel like I've missed out on a resolution to the game's conundrums just because I didn't have the level of commitment required to slog through a dozen hours of filler. The GTA structure would be perfect for this kind of release-- the base game is the entire city with just the core story missions woven through it; further Extensions weave more missions and characters into the existing gameworld, or provide access to a new island. It's a gameworld that expands outward at the player's will. Think of it: how often do you walk out on a film halfway through? I'd wager not as often as you buy or rent a game without ever finishing it. How is it not a red flag to the industry that the player rarely sees the ending of the game you've made for them? We need to open our eyes. Give me base games that I can finish comfortably, or extend if I so choose. Leave me wanting more, instead of feeling relieved when it's finally over. The Day of the Dead is a unique festival that is the result of 16th century contact between Mesoamerica and Europe. Conceptually, it is a hybrid, owing its origins to both prehispanic Aztec philosophy and religion and medieval European ritual practice. Ceremonies held during the Aztec summer month of Miccailhuitontli were mainly focused on the celebration of the dead. These were held under the supernatural direction of the goddess Mictecacihuatl. Both children and dead ancestors were remembered and celebrated. It was also during this month that the Aztecs commemorated fallen warriors. According to Diego Duran, a 16th century Spanish priest, the Aztecs would bring offerings of food to altars in honor of the dead. They would also place small clay images that were supposed to represent the deceased on these same altars. When the Spaniards arrived in the 16th century, they brought the Christian Holiday of All Soul's Day with them. This was a Roman Catholic holy day commemorating the dead in general as well as baptized Christians who were believed to be in purgatory. Spanish priests were quick to see a correlation between the Aztec and Christian celebrations so moved the Aztec festival from summer to fall so that it coincided with All Soul's day. This was done in the hopes that the Aztec holiday, which the Spaniards considered to be pagan, would be transformed into an acceptable Christian holiday. The result of this cultural blending is an event where modern Mexicanos celebrate their ancestors during the first two days of November, rather than at the beginning of summer. While this modern festival has Christian components, it still maintains its indigenous Native American ones. Yearly, people from all around the city gather in the Mission and parade down the street, playing music, carrying altars, dressing in Mexican Gothic costume, and painting their faces with skull masks. There were a number of different marching groups anchoring the parade: the first a high-energy drum and horn brigade, a central group playing an eerie dirge on gongs and cymbals, and finally a white-clad dance and music troupe from a local arts elementary school. Rachel and I attended as uncostumed onlookers. We walked up and down the length of the parade, and I took pictures. At the end, we went for food at El Farolito on 24th at Mission. As we left the taqueria, there was a Michael Jackson's Thriller-themed dance party going on in the square at the BART stop. I love being back in the city. Attending these sorts of community events is like nothing else.